Well it’s a good day. My parents made my favorite foods and my family came to celebrate with me. But the best part of today is my cake. My mom made it and I decorated it. I love purple so I put food dye and colored it. 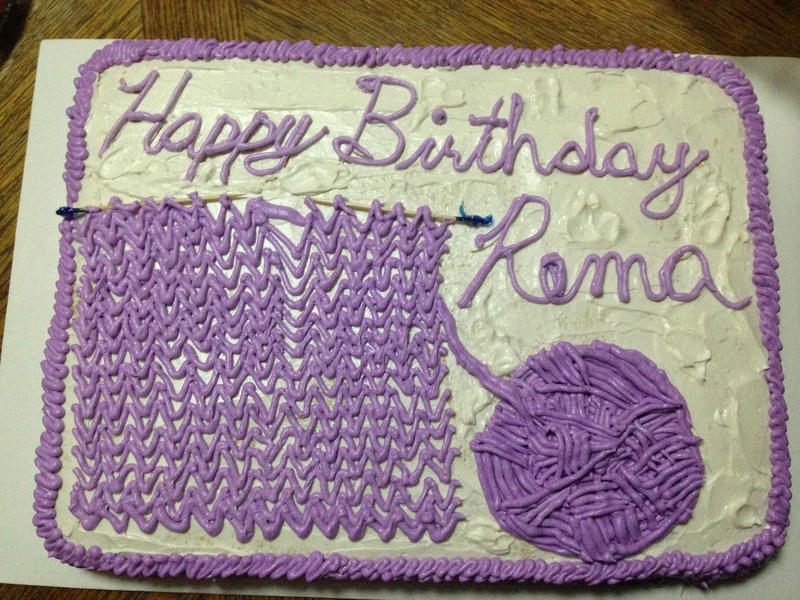 I had to decorate it with a ball of yarn and some knitting. I love it. It’s been a good birthday. Thanks for reading.